Sports and general fitness activity is something that we are hearing a lot about at the moment when it comes to children. As adults, we know that we need to take care of ourselves and having an active lifestyle can help do that. But there is more focus around the rising threat of childhood obesity now more than ever. We need to encourage our children to take care of their health. But how do we do that? Check out 5 ways that sports can benefit your child. Sports can definitely teach children about discipline. It is about being part of a team, thinking of others and also being part of something. From the youth football uniforms to being aware of their attitude, it can really help teach them to be mindful of their actions and also responsible for their own journeys. This may sound like the most obvious reason why spoilt and activity can help benefit a child but generally, it is one of the most important. Sport can really help keep children fit and healthy. It isn’t a good idea to be making weight gain and general lifestyle choices be all about food when it comes to children. This can lead to further issues with their relationship with food as an adult. But combining a balanced diet with an active lifestyle means children can be fit and healthy without there being a huge focus surrounding weight. Children can get bored when they have an overly amount of spare time to fill. Which is when they are likely to turn to their games consoles, tablets or other technology that can be found. While the rising levels of technology are a great thing for our children’s future, too much time spent on it can be detrimental to their health. So having a sports hobby or club in their lives means less time focused on tech and more time being in the moment and being active. Socializing as children can be so easy, but as they get a little older their confidence can diminish and they can become shy. Being apart of a sports team can be a great way to keep them communicating with children their own age. It can help increase confidence levels and self-esteem. Finally, many sports clubs and teams will have some form of competition. Be that amongst others in the group or in tournaments and matches in the future. Being part of the team helps to encourage good sportsmanship. Children learn to win and to lose and how to handle both situations with grace and professionalism. Great skills to have in the future. It can also encourage healthy competition which can keep children interested in what they are doing. Being involved in sports can benefit your child in many ways. Being apart of a team can help prepare your child for lots of things they will experience in adulthood. Plus, watching them is super fun! 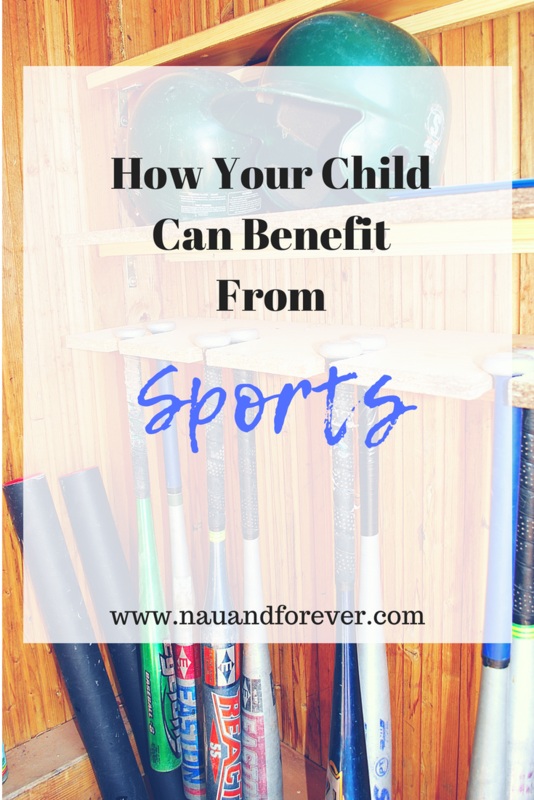 If your child is in sports, what do they play?